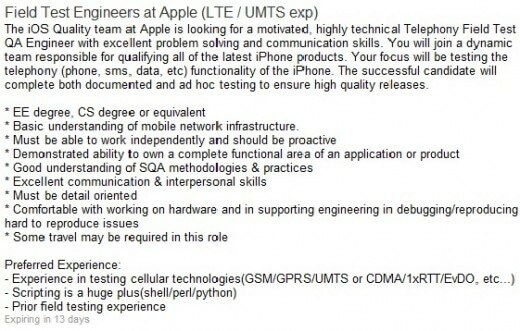 Apple Seeking for 4G LTE Engineer, Tesing iPhone 5? Home iPhone Apple Seeking for 4G LTE Engineer, Tesing iPhone 5? It looks like Apple’s next iPhone will support 4G LTE, the next gen connection speed internet speed been rolled out by most carriers.